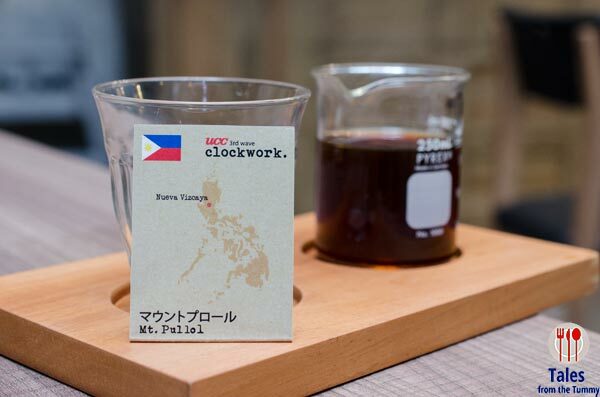 UCC brings its successful 3rd wave coffee concept UCC Clockwork to Estancia Mall in Capitol Commons, Pasig. This is the 2nd branch with a 3rd one soon to open in Rockwell. The industrial coffee bar charm is still present in small doses but the smaller space is cozier and more relaxing. A new branch of Clockwork means new items on the menu, initially available in the Estancia branch but will soon be available in Blue Bay Walk also. I got to try most of them during two separate visits. Chicken Cracks (P230). 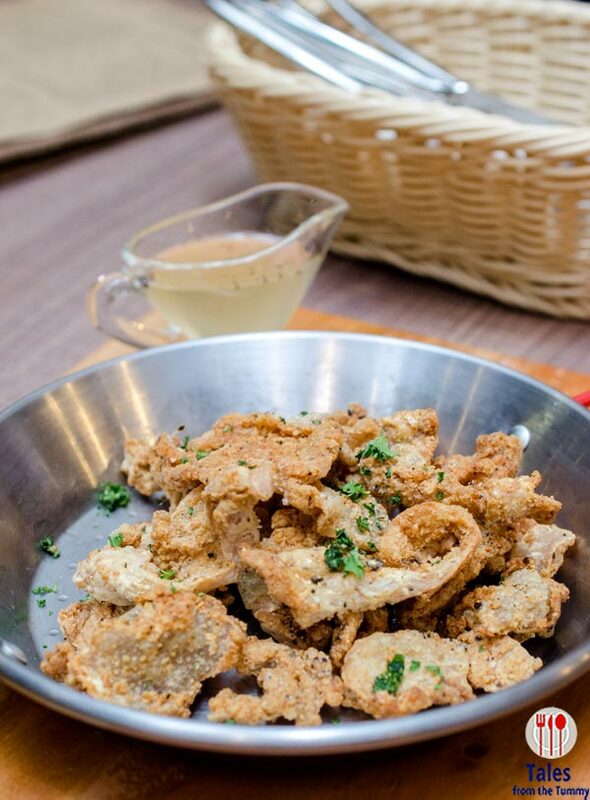 Deep fried karaage style chicken skin served with a honey vinaigrette dipping sauce. Well seasoned with mixed spiced so you can eat is as is or heighten the flavors with a dip. So good yet so bad at the same time. 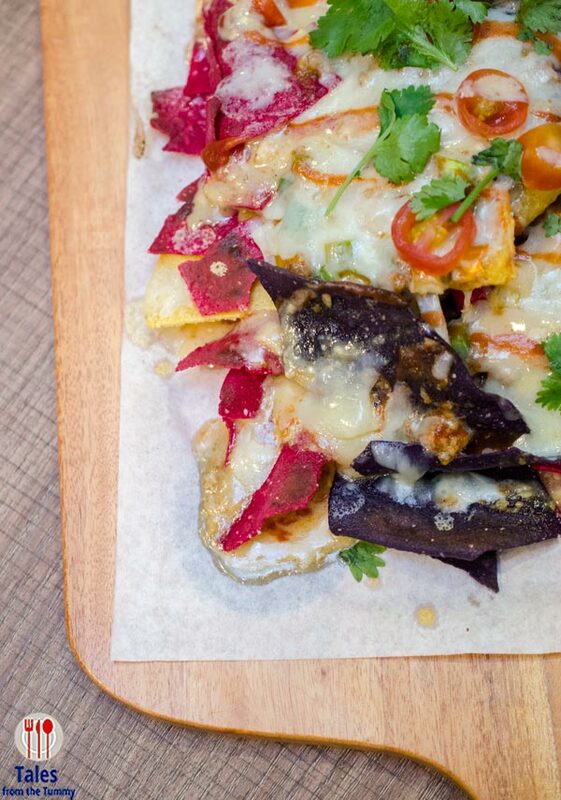 Baked Nachos (P320). Multiverse nacho chips with garlic sour cream, sauteed ground beef, tomatoes, onions and cheese. The whole thing is put in the oven to melt all the cheese to make it a gooey, cheesy mess, perfect for your tummy. 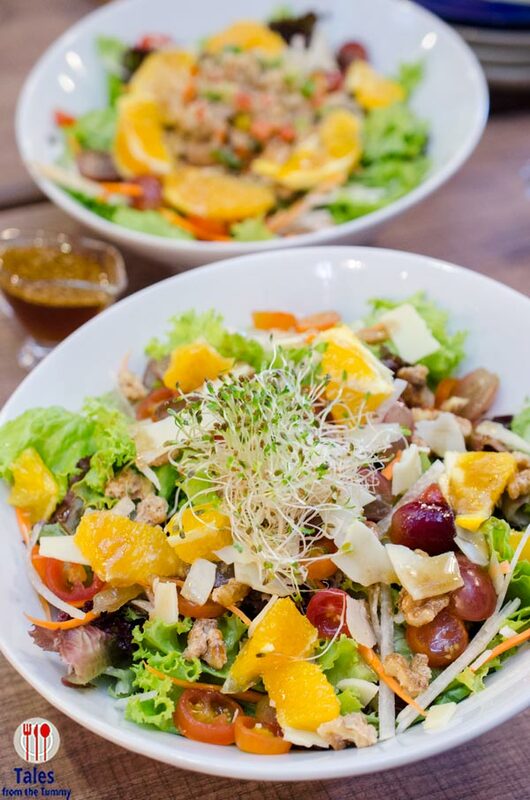 If you’re looking for something lighter, the Guiltless Salad (P300) should be perfect. Assorted greens, orange, candied walnuts, Gruyere cheese, grapes, alfalfa sprouts and drizzled with a spiked (alcoholic) vinaigrette. Easy to eat with a lot of fun textures plus a little hic surprise. Ouvo y Negra (P280). 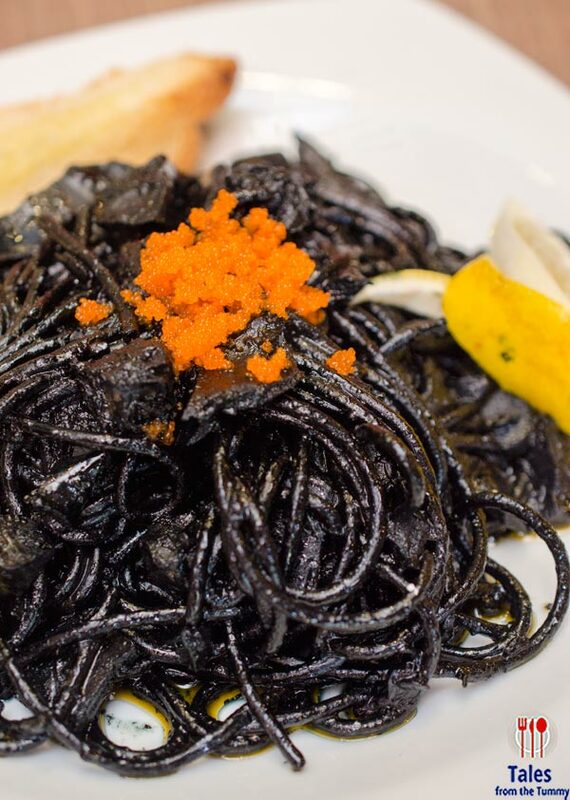 Japanese elements gives a new twist to the familiar flavor of squid ink. Ebiko/shrimp roe, seafood, spaghetti with a healthy amount of garlic to balance out any fishy flavor. Adobo Flakes Pasta Plate (P320). Not the prettiest plate around except for that striking poached egg crowning it. Spaghetti tossed with generous amounts of garlic adobo flakes in oilive oil with tomatoes and onions. A very hearty fish that’s big enough to be shared by two. They’ve also come out with three new rice plates. 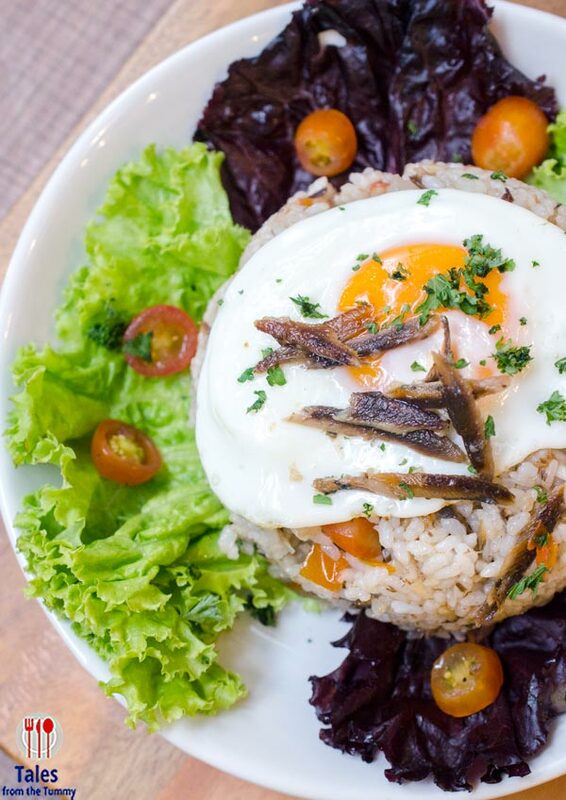 The Fisherman’s Fried Rice (P250) has anchovies(tuyo), onions and tomatoes in garlic Japanese rice topped with your choice of egg. I don’t eat tuyo but the way it is incorporated into this dish, hardly noticed even after a few spoonfuls. Rosemary Chicken Crisp (P320). This rice topping plate looks pretty simple but once you taste the rice your taste buds will be partying. 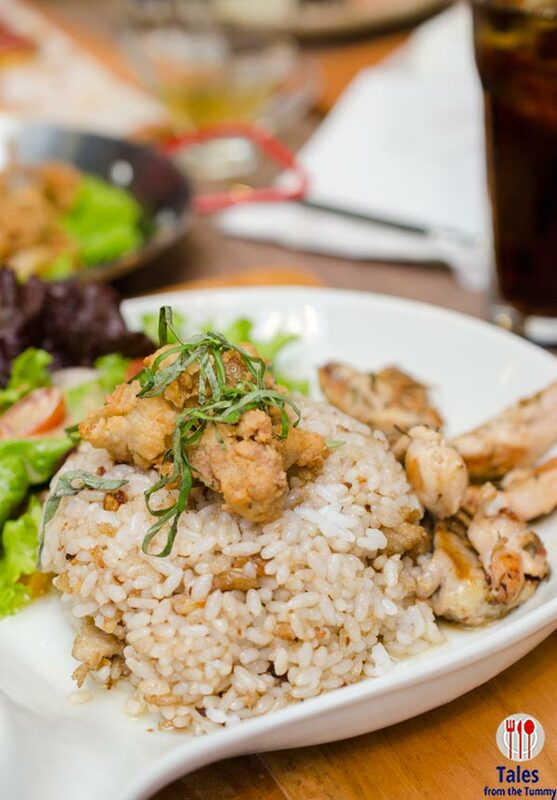 Take a closer look at the rice, those are chicken skin added to the garlic rice. Grilled herb chicken pieces, deep fried chicken skin and a side salad with balsamic reduction round out the plate. 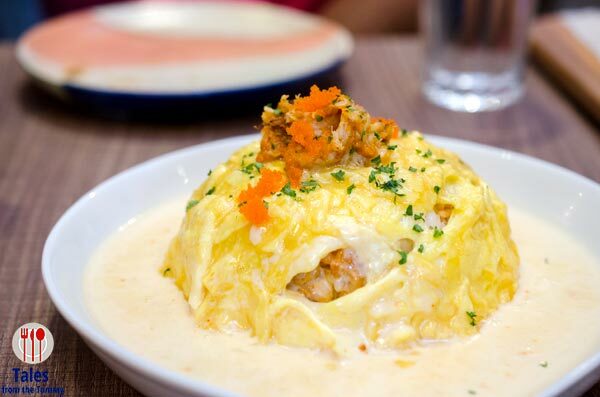 Crabby Fatty Omurice (P350). My new favorite at UCC Clockwork. Shredded crab meat, kani, ebiko sauteed with rice covered with a soft toro-toro egg. Crabt fat cream sauce is smothered over it. Make sure you mix the lipsmacking cream sauce into the rice. I’m ordering this again next time I’m in Clockwork. 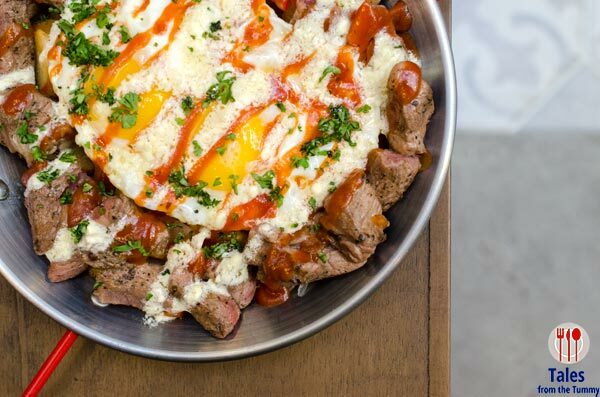 Steak and Eggs (P650). 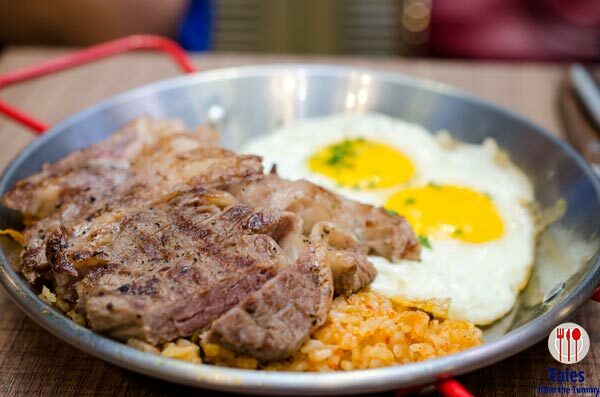 Your can choose between Western or Asian versions but both use Grilled US Rib Eye and 2 sunny side eggs. The western style has rib eye chunks and potato spuds and is drizzled with a tomato and garlic sauce. The Asian style does away with potatoes and has a bed of kimchi rice instead and a whole steak instead of the chunks. I still can’t decide which one I like more, comes down to whether I want rice or potatoes. 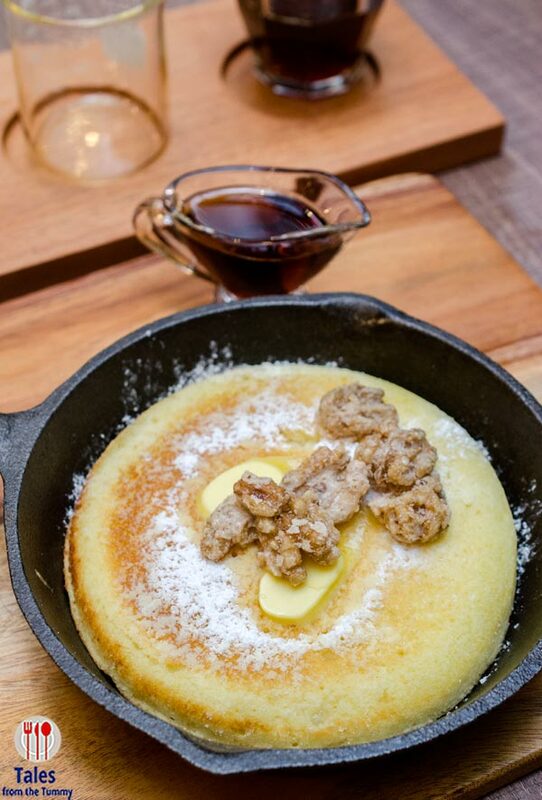 Japanese Pancake (P190), served with butter and maple syrup. There are a lot of additional toppings to choose from like the candied walnuts (P80/above) and even savory things like pulled pork, bacon and even tocino. For me, the plain one is already enjoyable, a fluffy pancake that has a nice crusty outer layer. Order this ahead of time because it takes quite a while to prepare because they bake the whole thing, pan included. Mango Creme Brulee Cake (P150). 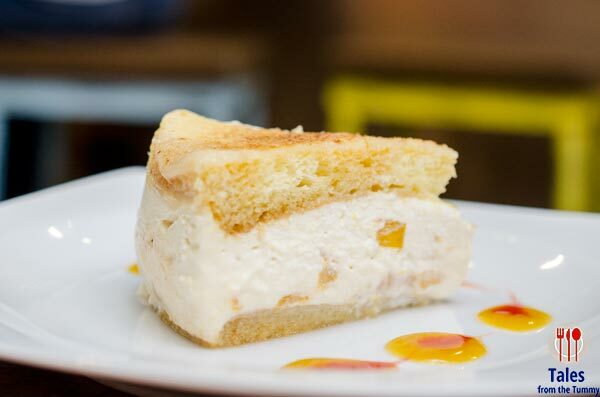 Their newest cake is light and fluffy with tempered sweetness. Mt. 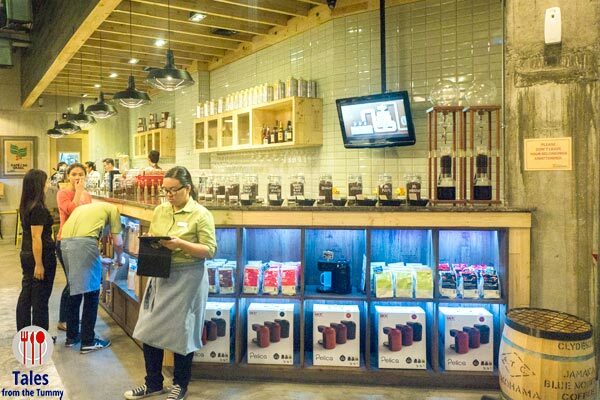 Pullol (P160) is the new additional to their local coffee bean lineup. I’m not too fond of the flavor profile and would prefer the Kapatagan for local of the Brazil Sta Alina Yellow Bourbon instead. Kori Kohi (P220). 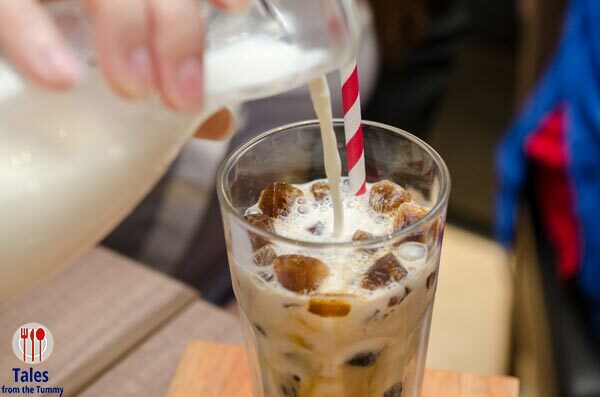 This is a fun drink, Sumiyaki cold brew cubes with warm milk and syrup on the side. You pour in the milk to melt the coffee cubes and add syrup as needed. 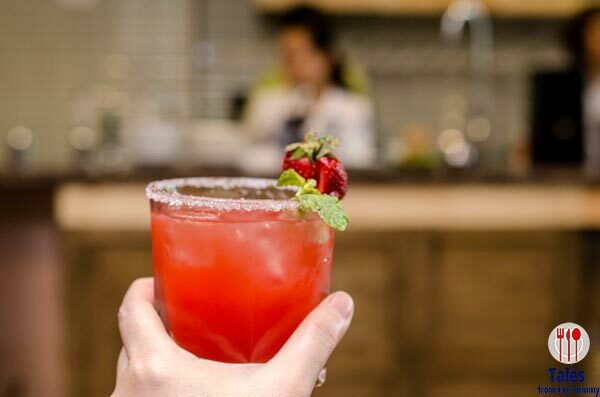 You can have more than food and coffee at UCC Clockwork, you can even enjoy their new cocktail selections like this Strawberry Mint Margarita (P250). 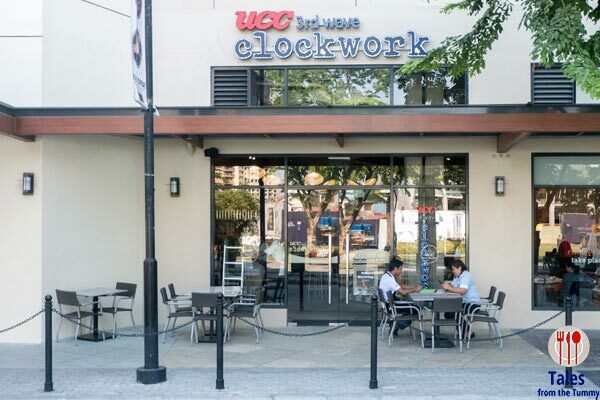 UCC Clockwork is more than just a coffee shop with its selection of Filipino-Japanese comfort food and even cocktails for late night relaxation. 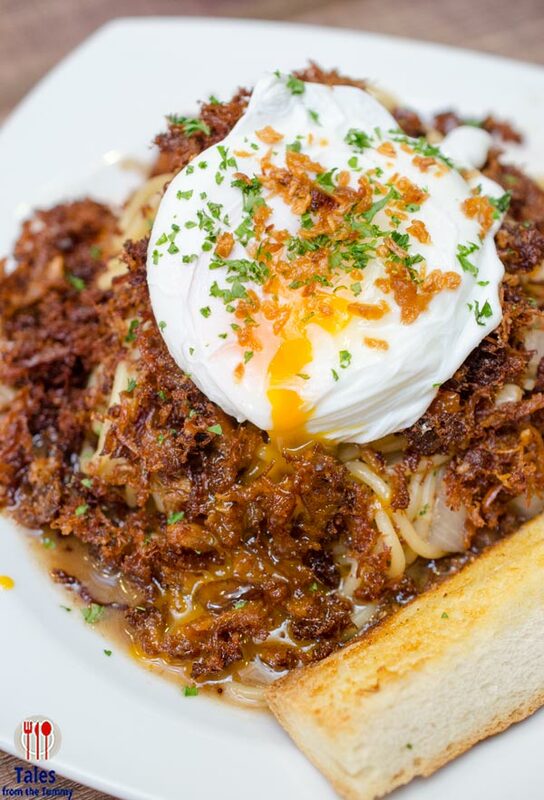 The Estancia Mall branch is situated outside the mall so is a good option for breakfast also.